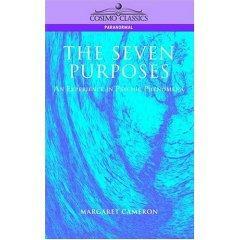 "The Seven Purposes" written by Margaret Cameron in 1918 is a report of personal experience in psychic phenomena. This is based on the author's research on automatic, or involuntary, writing--writing allegedly directed by a spirit or by the unconscious mind. This report has been arranged in three parts: first, the genesis and rapid development of the individual message; second, the Lessons; third, additional individual messages. 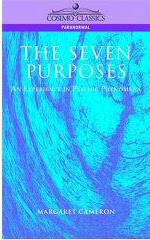 "The Seven Purposes" offers a unique, early-20th century study of automatic writing sure to challenge while it inspires. Margaret Cameron was a novelist and short story writer. She also wrote one-act plays and contributed to magazines.